"You mustn't be afraid to sparkle a little brighter, darling." We couldn't have put it better ourselves! We love all things glittery at Wedding in a Teacup, and what better (or more sophisticated) way to add a touch of sparkle to your day than with a splash of gold? 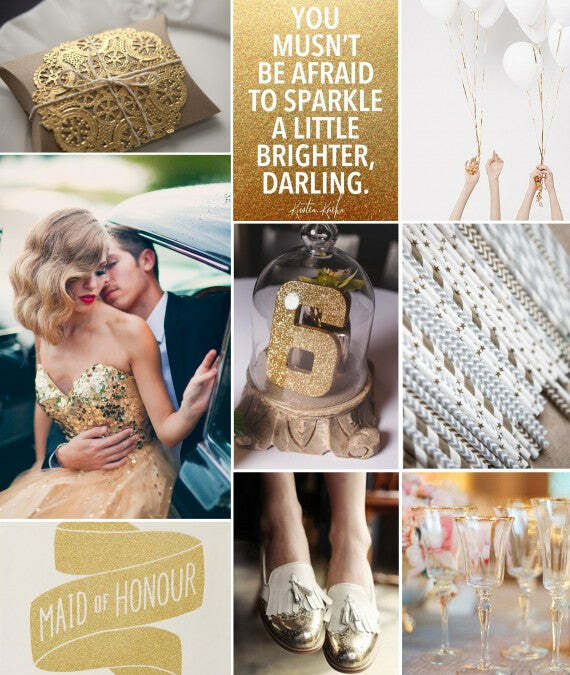 Team with white for summer sparkle, or black for dramatic winter elegance.... From small hints on the special touches, to a gold-adorned bride; sparkle brighter on your big day!